WHY IS TEAM THALA 57 NOT DOING THIS REGULARLY? Director Siva had released a photo of Ajith Kumar from the sets of Thala 57 a couple of days ago. Just moments later, the photo started trending. Ajith looked dashing, to say the least, and it could easily be the most shared photo of recent times. That shows how much people love Ajith but sadly his fans do not get to see him enough of late. 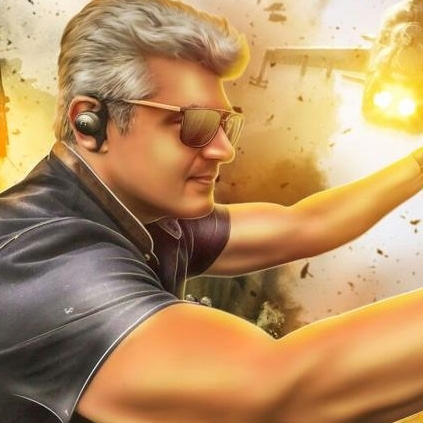 The makers of Thala 57 have been very secretive with all the updates. It’s been a while since the film went on floors, but apart from this photo, not a single still has been released by the team officially after the pooja event stills. When it comes to big hero films like Thala 57, fans always expect new photos from the team on a regular interval to constantly keep them attached with the film. In the case of Ajith’s fans, they have not got to see their star on screen since last Diwali and hence only through photos like these, they could find some solace. We wonder why the team does not release photos of Ajith on a regular interval at least to satisfy the huge fan base he has? They might be doing this with some purpose to have a firsthand movie watching experience on screen but we feel it is harmless to release a photo or two now and then. Is Baahubali release getting advanced? Two more releases to clash with Bairavaa! Anirudh Talks About Thala 57 Audio Release Plans. Will Ajith Replace SRK In Dear Zindagi If Its Remade In Tamil? People looking for online information on Ajith, Thala, Thala 57 will find this news story useful.